Tornadoes can rip a house apart in a matter of seconds. They can happen almost anywhere, but in the United States they are most likely to happen in Tornado Alley. When a tornado warning has been issued, you are urged to go into the safest room in your house… or a safe room. Usually that is the basement. But if there is no basement, your next best option is to have a tornado safe room or storm shelter nearby. A tornado room (or safe room) is built inside your home, while a tornado shelter (or storm shelter) is separate from the home and can either be built underground or above ground. Both safe rooms and storm shelters can protect you from winds up to 250 mph and from flying objects moving at 100 mph. By the way, it’s the missile-like flying objects that are the most dangerous effect of tornadoes! 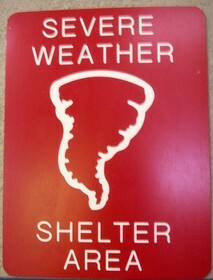 Thinking Of Building A Tornado Safe Room? Tornado safe rooms are built with extra thick walls and ceilings and have been known to remain intact even when the rest of the house has been destroyed. Safe rooms should be built in an area that is easy to get to. It should be anchored to the foundation so that it does not topple over. It should also be windowless and have a door that is as strong as the walls. The cost of building a safe room inside your home is largely determined by the type of foundation, as well as the size and location of the room. While tornado safe rooms are generally safer than stand-alone storm shelters, they are also more expensive and take some time to build — which is why it’s best to incorporate a safe room during the construction phase of your home. Otherwise, you will likely encounter a fair amount of inconvenience during the construction of your safe room. Here are FEMA’s tips for building a safe room inside your house, plus everything you need to know about residential safe rooms. You’ll want to take the time to do a little research first, but here are some of the top safe room manufacturers to choose from. 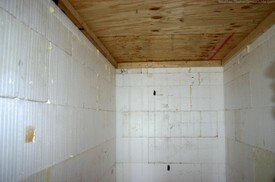 Just make sure that your safe room is constructed to FEMA standards. 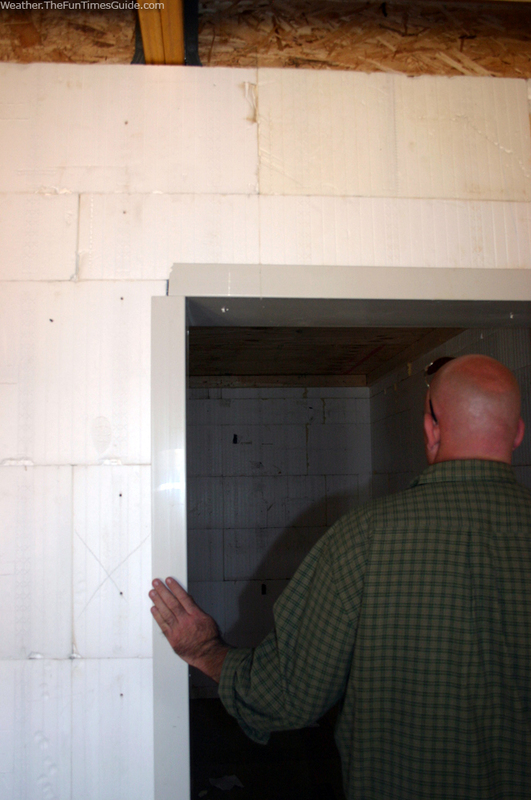 TIP: In some high-risk areas, you can get a rebate for installing a tornado safe room! 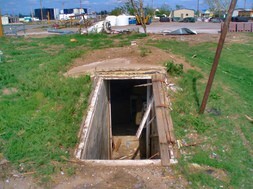 Thinking Of Buying A Storm Shelter? Standalone storm shelters start at approximately $2,600 for the smallest size (to comfortably fit 4 people). From there, the price increases with size. Compared to tornado safe rooms, storm shelters are easier (and quicker) to install. Plus, there is only minimal inconvenience during the construction phase. However, they are more difficult to get to during an emergency, since the entrance is outside of your home. There are both above-ground storm shelters and underground storm-shelters. Here are the top manufacturers of storm shelters. 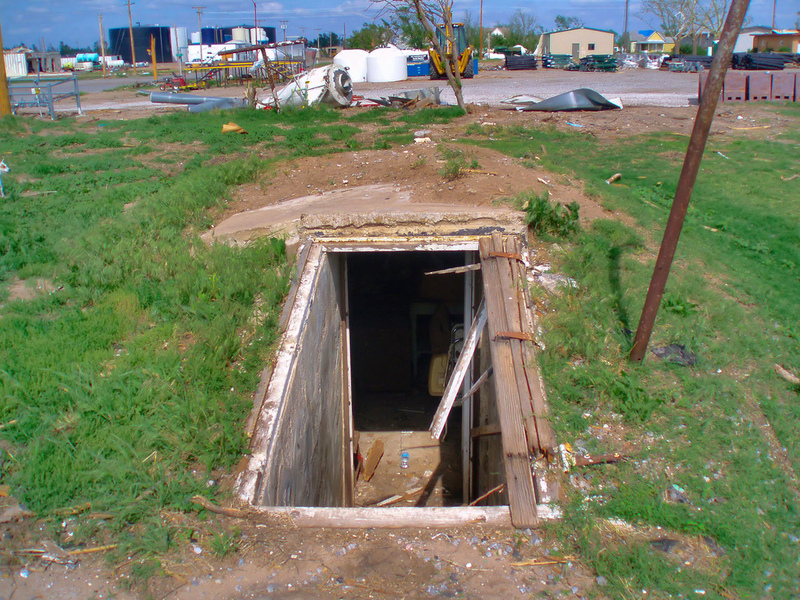 Here are tips for building a storm shelter outside your house. When Is Tornado Season Where I Live? Is Tennessee Part Of Tornado Alley Or Not?